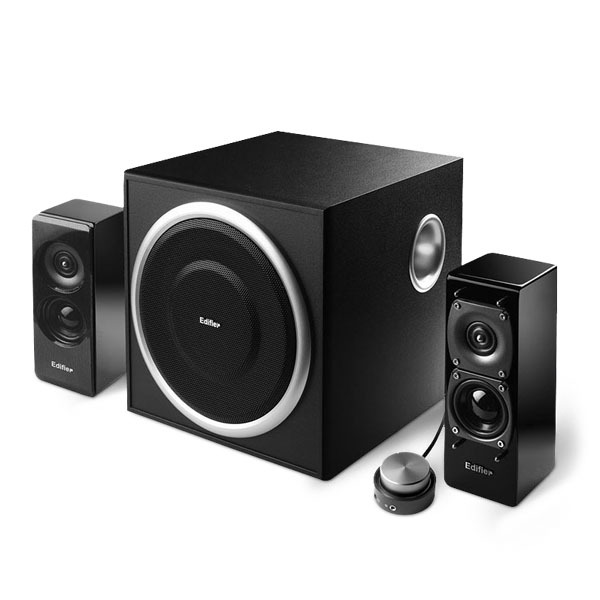 The Edifier S330D 2.1 speaker system comes equipped with a wired remote. The remote is designed in the shape of a dial. The decision behind this form factor is that it offers a smooth user experience when operating the device. The remote has a built in indicator device to inform the user that the speaker system is turned on. A blue halo lights up and indicates the speaker system is ready to use. Tune the volume to the right level for optimal listening. On the remote control there is an auxiliary input port. The auxiliary port enables anyone to plug in different types of devices. 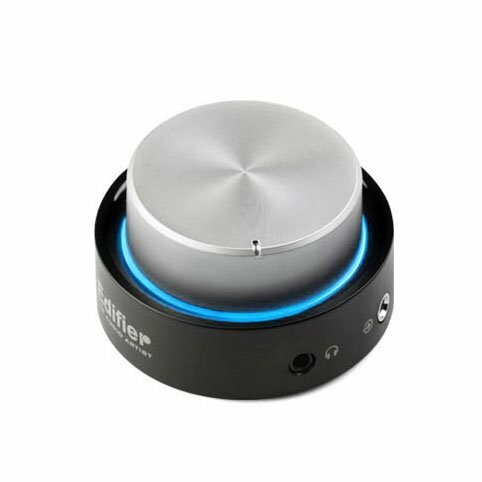 These devices can range from MP3 players, portable music players, amplifiers, and much more. The remote also has an input available for plugging in a pair of headphones. 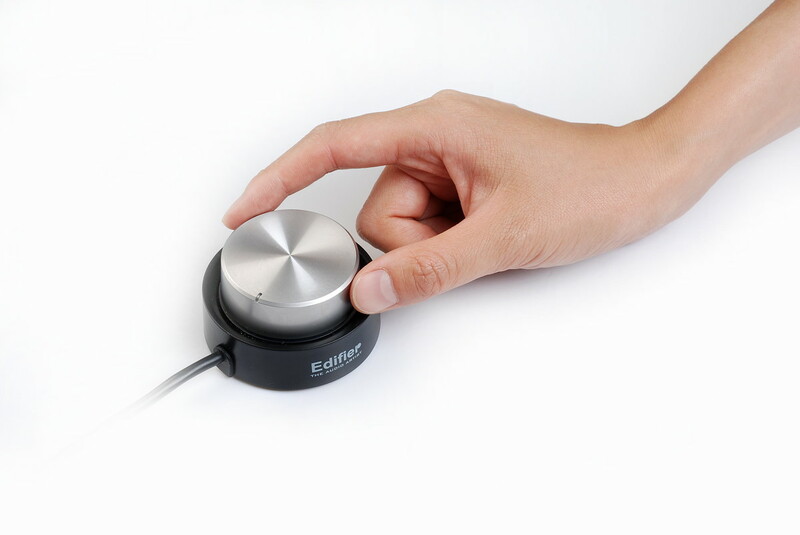 Both outputs can be easily adjusted using the master volume control. In order to attach the remote of the S330D, make sure you take the DB9 plug of the wired controller and attach it to the DB9 port on the back of the subwoofer. Successfully completing this makes the controller attached to the S330D 2.1 sound system. Overall, the S330D combines a beautiful, sleek, and powerful design along with high quality reliable functioning performance and takes your sonic experience to another level of audio. The S330D comes with a 6 ½ “ subwoofer and two satellite speakers that produce 72 watts of impressive power. All of the subwoofer’s components are contained in a medium-density fibreboard wooden enclosure so it may resist vibration when producing sound. The SS330D has both coaxial and optical inputs for producing the highest quality of sound available.